The two Koreas will hold a high-level meeting Monday to review progress on implementation of the Panmunjom Declaration and discuss preparations for a possible summit, South Korea’s Ministry of Unification said Thursday. 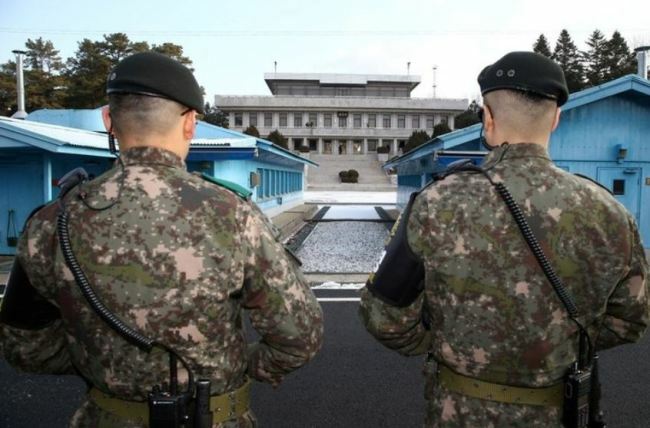 It will be held on the northern side of the truce village of Panmunjom and the Seoul government plans to reassemble a delegation headed by Unification Minister Cho Myoung-gyon for the occasion, according to the ministry. The high-level meeting, which will be the fourth of its kind if held, was quickly scheduled after the North sent a message earlier in the day proposing the gathering and the South later agreeing with the request. The main agenda item is likely to be planning for the third meeting between South Korean President Moon Jae-in and North Korean leader Kim Jong-un this year. The Panmunjom Declaration states that Moon had agreed to visit Pyongyang this fall. Regarding the date, an official at Cheong Wa Dae told reporters that such details are yet to be set. The official added they will have to first see what they will bring to the table, in an answer to the question on whether the summit will be held within August. Following the landmark inter-Korean summit in April, the two held a lower-key meeting in May in Panmunjom after the US abruptly canceled its planned summit with the North -- which it later pulled a U-turn on. Discussions on further expanding cultural and sports exchanges, including planned performance by a North Korean art troupe in the South, are expected to be raised as well. Kim had proposed the idea at the concert featuring South Korean artists held in Pyongyang in April. The announcement comes as the two Koreas work toward declaring an official end to the 1950-53 Korean War and eventually establishing a peace regime on the peninsula. But the US has repeatedly reiterated that North Korea’s complete denuclearization comes before such a goal, amid slower-than-expected progress in relevant talks. The high-level meeting will lay groundwork for the new inter-Korean summit which will address the complicated dynamics surrounding inter-Korean ties and perceived lack of progress in the implementation of agreements reached in April, experts said. But the talk is likely to touch US-North Korea negotiations on denuclearization as well. “It will serve as a platform to discuss plans to overcome the current situation -- the main point will be to come up with a plan to convince the US to cooperate on improving inter-Korean ties despite its reluctance to lift international sanctions against North Korea,” said Kim Joon-hyung, an international studies professor at Handong Global University. North Korea has recently ramped up its call for the South Korean government to implement the Panmunjom Declaration, including the agreements reached on bolstering inter-Korean economic cooperation.